Articles in the Hertitage section of the website were originally published in the 'No Better Place' book, a celebration of Parkstone's Centenary in 2009. 'No Better Place' was shortlisted for the USGA golf book of the year. 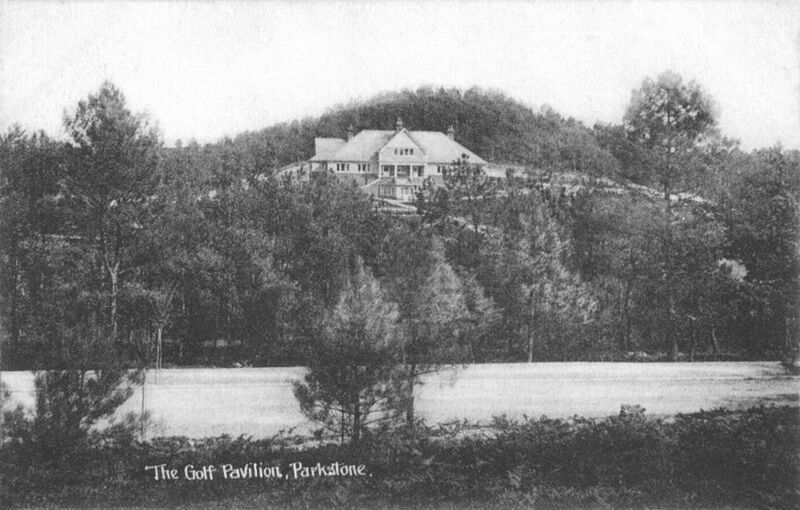 Parkstone was founded by Lord Wimborne in 1909. He was the head of the Guest family who in the 18th century created and managed the iron works in Merthyr Tydfil and acquired vast wealth in the process. The business developed into the international conglomerate that became Guest Keen Nettleford (GKN). After withdrawing from management of the ironworks the Guests moved to Wimborne in 1846 after acquiring the Canford Estate, which stretched from Wimborne to the sea by Poole Harbour, where Lord Wimborne decided to build Parkstone. 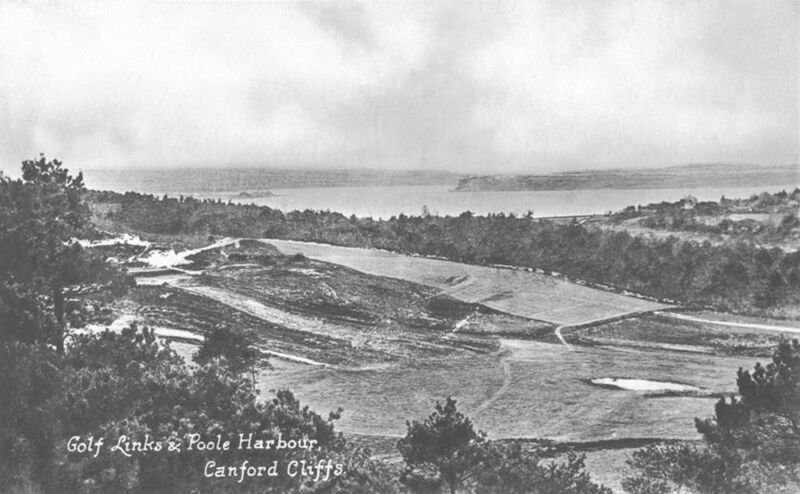 The land on which the new course was to be built extended from what is now Alton Road East down the centre and east side of the Luscombe Valley to Poole Harbour. Lord Wimborne added to this by acquiring the former Parkstone Reservoirs, which had been constructed in the 1890s and not used after the Poole Water Company closed down in 1906. Without a requirement to obtain anything as bothersome as planning permission, design and construction of the Course and Clubhouse went ahead. The pumphouse, which was to become the greenkeepers’ store and workshop, and adjacent cottages were not included in the original purchase. They were subsequently obtained in exchange for the Ladies’ Walking Field on Wimborne’s land in Poole, which, many years later, became the site of the Arndale Centre. The heavily wooded land was surveyed and the boundaries set by Herbert Kendall. A local architect, Walter Andrew, designed the Clubhouse, which was built for £2,500. Whereas the harbour end of the Course or the commanding eastern heights would have been more attractive sites, the Clubhouse was built opposite the end of St Osmunds Road, the nearest point to the tram route and also to Parkstone railway station – important considerations in those days when private car ownership was only for the wealthy. Willie Park Jnr, twice Open Champion, was commissioned to design the Course. Construction by an army of up to 300 men started in June 1909 and was completed in only five months for a cost of £8,660 and declared fit for play after eleven months. A single greenkeeper, Charlie Hope from Fleet, was appointed; he doubled up as the club steward. The number of greenkeepers was increased in due course, in particular by Frank Gillett, who joined in 1919 and stayed for 48 years until his retirement in 1967. Lord Wimborne set up the first committee with himself as President and his third son, Captain The Hon F.E. Guest as Chairman and Captain, plus five others. The initial membership of 100 men and 30 ladies was nominated by the committee, each member being entitled to nominate one other. The membership list was closed on 1 January 1910, after which the subscription was increased from 2 to 3 guineas, the entrance fee being 2 guineas. At the end of 1911 there were 263 members with 179 men including 80 originals and, perhaps surprisingly, 84 lady members, most of whom do not appear to have been related to the male members. A year later 45 members had resigned or otherwise departed, being replaced by 66 new ones, a considerably higher turnover than has taken place in recent years. What has not changed is the high number with very local addresses. Apart from the occasional peripatetic Army officer, Mr F.W. Beckford of Beckford Bowl fame from Broadstone and a half dozen from London and elsewhere, almost all members lived close by the Club. Play started in May 1910 and has continued without interruption since then. However, the opening ceremony scheduled for Tuesday, 7 June with an exhibition match involving John Henry Taylor and James Braid was first postponed until later in the year and then cancelled for unknown reasons. It may have been due to heavy competition from other events, such as a visit of the Lord Mayor of the City of London, the death of Edward VII and the coronation of George V or some local aeroplane races and demonstrations, in one of which C.S. Rolls of Rolls Royce was killed. The first reported match took place later in 1910 between the Club and Bournemouth Golf Club from Meyrick Park, the visitors winning 10 – 2. 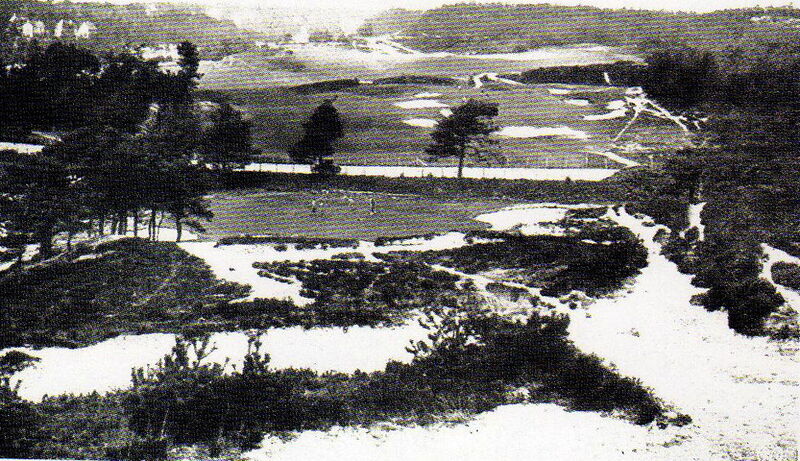 In 1912 the western section of the PGA held the qualifying round for the News of the World Tournament at Parkstone. The winner had a name that was to become pre-eminent in Parkstone’s history – Whitcombe, but on this occasion it was Ernest, the eldest of the three Somerset brothers, all of whom were destined to become outstanding tournament professionals. The life of the Course itself started as it was destined to continue with the first alterations being made in 1911, thereby providing the precedent for regular changes that continue to this day. 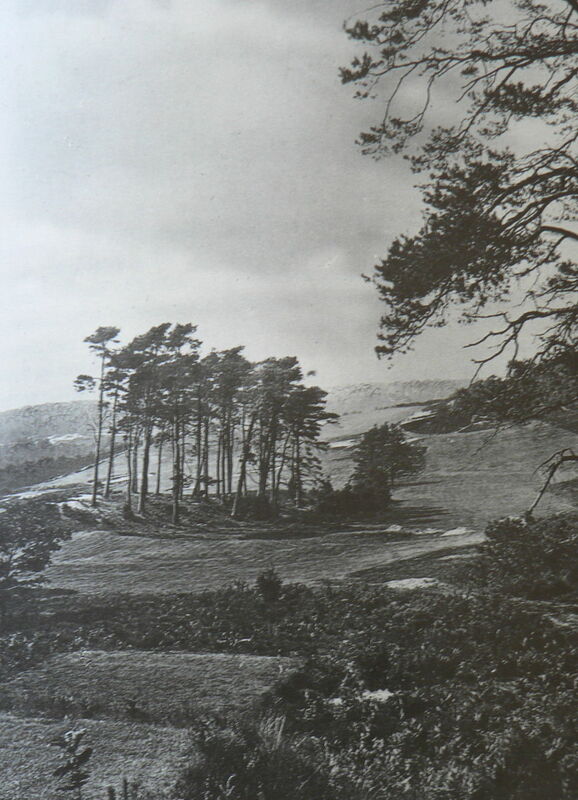 Initially aimed at making the Course easier and later to combat the effect of improved golfing equipment, by 1932, when James Braid appeared on the scene, many holes had been changed so that much of Willie Park’s original 1910 course had been altered or replaced. Today the original 1st and 2nd (today’s 3rd) remain in their entirety. 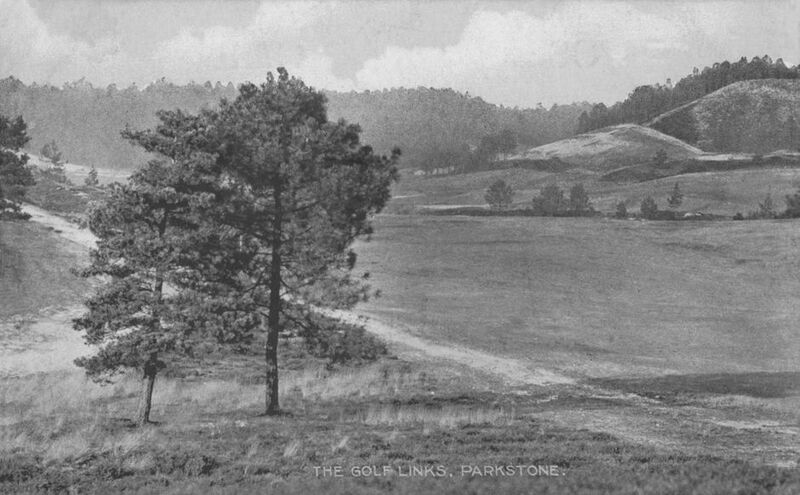 In the late 20s the original 3rd, 4th and 5th were reversed in order and now form the 4th, 5th and 6th.The first half of the original 6th remains as the par 3 7th and the second half of Park’s 12th as today’s 16th. On the playing side, the first of Parkstone’s many trophies were donated and competed for. The Wimborne Cup, the Cecil Cup, the Original Members’ Cup and the Challenge Cup were all played for in 1911. The first men’s open competition was held on 26 October of that year, with the ladies following on 8 November. A report in the Bournemouth Echo, commented that ‘the greens are in such splendid condition ..... there was not a weed to be seen’. Ever with an eye to the finances, the directors appealed against Poole Council’s initial rating assessment on the Club and won. Not surprisingly, as part of the Club's case the Vice Chairman, Major Morris, claimed that the Club would never pay its way. Equally knowing, the Recorder was not convinced, retorting that it was possible that the Course was not primarily intended for profit but as an amenity intended to add to the value of the surrounding land. Whilst the first Lord Wimborne’s intentions for the Course may be open to debate, there is no doubt at all about those of his son. Ifor Churchill Guest succeeded his father and inherited the title on the first Lord Wimborne’s death in 1914. His ties with the Wimborne area had become distant both as a result of his career in politics and also because he made Ashby St Ledger in far away Northamptonshire his country home. He had sold Canford Manor for it to become a school in 1920 so it would have come as no surprise to the members when, in 1927, he decided to sell Parkstone. Fortunately he gave the members first option to buy, this being done when a group of six local businessmen banded together, formed a company, Parkstone Golf Club Limited, and bought the Course and Clubhouse. The capital they raised fell some £7,500 short of the asking price of £20,000 (£1 million in today’s money) but the bid was rescued by a low interest loan from T.W. Simpson of Compton Acres, who understandably wished to preserve his view across the Course. Ironically it was his house that ultimately fell to developers after his death, whilst the Club progressed purposefully, if not altogether serenely, into its second age.